With Patch Tuesday coming tomorrow, here’s your regular monthly warning. Given all the problems we’ve seen with patches this year, you’d be well advised to block automatic updating and wait for the screams to subside. This month, there’s an unusual exception. April patches came in like a lion and out like a … lion – a big lion with lingering halitosis. If you’re using Windows 7 or Server 2008 R2, it’s entirely possible that you haven’t gotten over the bugs, even now. As expected, last week Microsoft started rolling out its new and amazingly buggy Windows 10 April 2018 Update (which didn’t arrive on 10 April, but nevermind). Some people actually installed the haunted update voluntarily, while many more were pegged as Seekers and appropriately, uh, honored. This month brings an extraordinary juxtaposition of a coerced buggy upgrade and a still-unsettled base. If you have Win10 version 1803 and you don’t want it, roll back as soon as you can. Click Start > Settings > Update & Security. On the left, choose Recovery. On the right, under Go back to the previous version, click Get Started. When asked why you want to roll back, you might want to construct a particularly poignant response about half-baked bugs, but I'll leave that up to you. Click Next, No Thanks, Next, Next (yes, again), and Go back to earlier build. If you’re running Win10 version 1803 and you want to keep it, I salute you, and urge you to keep automatic update running. We need cannon fodder, eh? The cumulative update likely to arrive on Patch Tuesday this month may well contain some important fixes. At the very least, it’s hard to imagine that it’ll make things any worse. It’s exceedingly rare that I recommend installing new Windows patches as soon as they’re available, but the large number of really bizarre bugs makes that choice for Win10 1803 a reasonable one. Besides, Microsoft has already had some experience fixing the bugs in version 1803 build 17134.1. It released 17134.5 to beta testers on April 27. Yes, that was before they released 17134.1 to the unwashed masses on April 30. I expect we’ll see a build 17134.x where x > 5 on Tuesday. Let’s do the Time Warp again. If you’re running Win10, and you don’t want to deal with Win10 version 1803 anytime soon, you’d be well advised to follow the detailed steps in How to block the Windows 10 April 2018 Update, version 1803, from installing before Tuesday, when Microsoft promises to start rolling out 1803 – as a service, mind you – to many more machines. 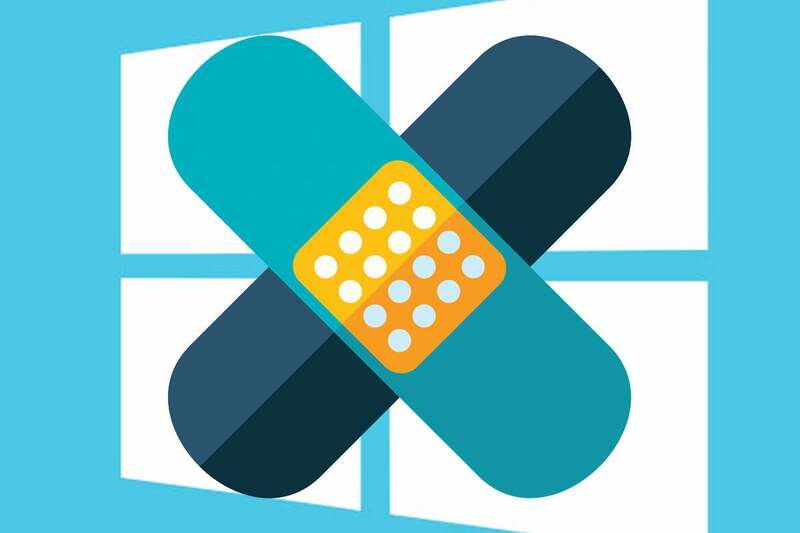 If you’re using Windows 10 Pro version 1703, or Pro 1709, and Microsoft doesn’t change its mind again, you can use Windows’ built-in tools to hold off on the looming patches – just follow Steps 7 and 8 in 8 steps to install Windows 10 patches like a pro. Other Windows 10 users, including all Win10 Home owners, aren’t quite so lucky, but the general “metered connection” approach is detailed in Woody's Win10Tip: Block forced Windows updates.